This is the first set of 'Move To Music' sets. This set contains all of the images shown: children making various movements in a music/physical education class. 28 images (14 in color and the same 14 in B&W). 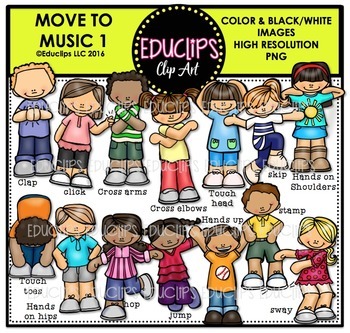 Keywords: clipart, art, clip art, clipart for teachers.